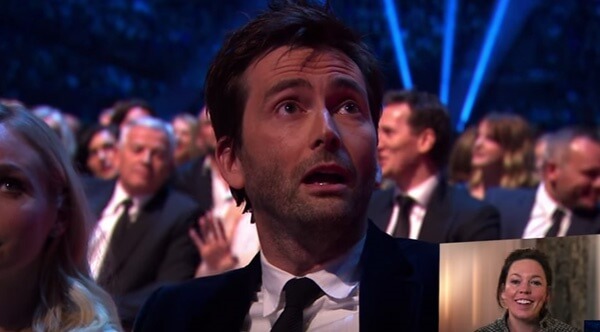 You are about to watch David Tennant's reaction to receiving a special recognition award he didn't know he was getting. His face is so surprised and happy it will bring tears to your eyes. David Tennant is one of the most underrated actors... but that's what makes him him.